If you host an event of any size, sponsors are going to come into play. For most, finding them is much of the work. Sometimes though, when you’re lucky, you create an event sponsors wish to be part of. When those companies are world leaders in their field, their interest is a true compliment. A few weeks back I sat down to read my emails and noticed one from Garmin. Opening it purely out of curiosity, the message caught me off guard. Garmin wanted to be part of our event. Honestly, I was a little surprised. Garmin is no lightweight. Why would they want to be part of our fly-in? The company commonly stands up large displays, in large facilities, at large events, to promote their larger than life products. They also do it without blinking. Why Lee Bottom? I had to ask. I wanted to quote Scott because I know, to some, Garmin often feels like the 800lb gorilla. Yet, what he said shows a side not always seen. Inside the company are pilots who, like the rest of us, love flying. They value input from others and, if there is any way they can, they wish to support the kind of flying we love. That was great to hear. If you know me, you understand I am someone who values pure and simple. Heck, our blog is NORDO News. NORDO = no radio. Some of you may even wonder how that levels with support from Garmin. Yet, there is nothing I love more in a plane than simple AND USEFUL. Here is where the big admission comes in. I have been flying without any modern electronics. I’ve never needed them, or even wanted them. When someone first showed me ForeFlight on an iPad, although I thought it was cool, I didn’t need it. 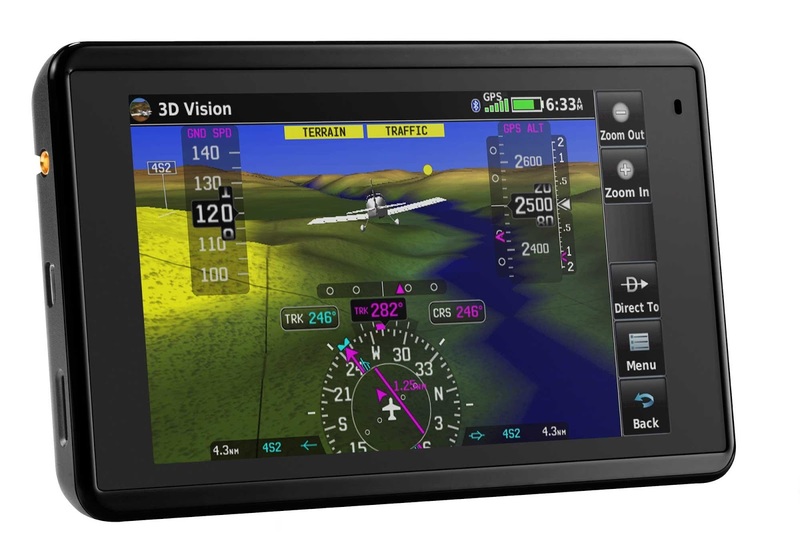 However, I do remember flying with someone’s Garmin 496 and thinking it would be nice to own. Unfortunately, it didn’t fit with my super practical ways. Then came the day Scott, from Garmin, told me they’d like to contribute some items for our online auction; an aera 660 portable GPS and a GarminD2 Bravo Watch - Titanium Edition. Again, out of curiosity, I searched for them online. When I found the links - Holy wow! I must have one of each! No kidding, I was stunned by the products. Wondering if I was alone, I sent a link to a few other flying friends and they too were surprised. Both products are obviously the culmination of years of improvements. Finally, Garmin has worked everything I’d like to have, into single packages, at prices that mesh with my practical side. I must have one of each. If you’d like to bid on one of these items, click here. 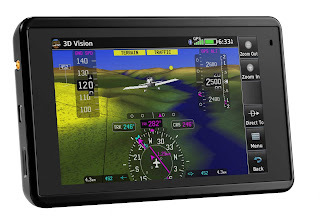 If you want to know more, or see what else Garmin has in store for the fly-in, keep reading. Some folks from Garmin will be here Friday and Saturday (September 16th and 17th), ready to discuss any questions or comments you have about their products. Additionally, they will be holding a forum on ADS-B at 12:30 on Saturday. This would be a great time for you ask questions about any ADS-B requirements you don’t understand, to get a better understanding of what ADS-B may or may not mean to your type of flying, and to see if Garmin has a product that surprises you. Whatever the case, please stop to see the Garmin folks and thank them for supporting grass roots aviation.